Press Release posted 8/25/16 – During the week of September 10th, Sierra Madre CERT will be offering FREE comprehensive emergency preparedness training classes to the public. Classes involve a mix of lecture and hands on exercises. The final day even includes a comprehensive disaster scenario! 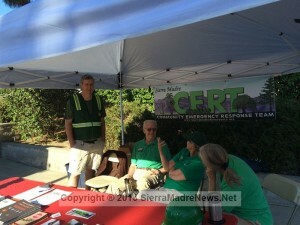 For more information about CERT and about the classes check out the Sierra Madre CERT website.